Since 1865, systemic barriers have been put in place to oppress people of color in America. The Shine Hard Family is here to change that reality for the next generation. Our mission is to close the racial wealth gap in America. We believe that the lack of diversity, collaboration, and mentorship is stifling the earning potential of black millennials and Gen Z’ers. Our programs are engineered to empower the next generation of young black leaders. We make change by providing role model visibility for every vertical. Transferring knowledge from one generation to the next. Providing a blueprint for financial success, and intentionally connecting minority business leaders to foster economic empowerment. The Conversation is a collection of interviews that provide the blueprints needed to shine in any industry. During these conversations, we sit down with the nation's top black millennial leaders to break down the barriers to entry in underrepresented industries and reveal each influencer's secrets to their personal success. The Innovation and Influence Symposium. Sharing practical insights on personal branding and innovation. The Daily is a daily text message sent straight to your phone every weekday [M-F]. The Daily delivers thought-provoking quotes by our Executive Director, Johnny Bailey. These daily messages will inspire you to action, elevate your perspective, and help you get more of what you want out of life. The Coaching is our approach to empowering the ambitious entrepreneurs in the community. By offering direct and consistent access to the busy millennial leaders in our network, we can intensively impact young lives, black businesses, and bank accounts. In partnership with local companies and institutions, we curate the best and brightest influencers to lead talks, design experiences, and collaborate directly with our community. 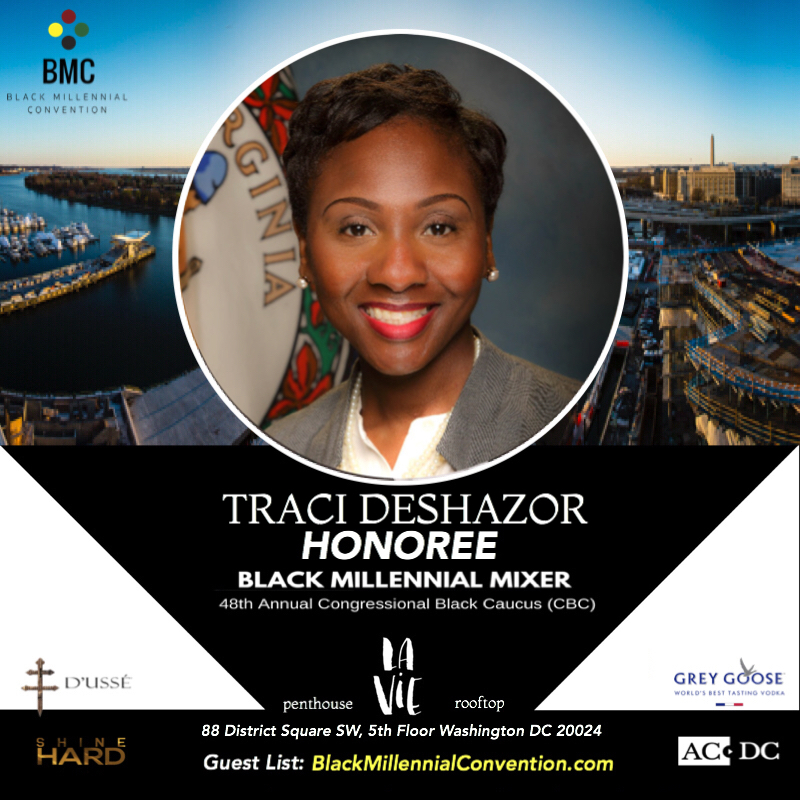 Charity Events include mixers, sporting events, award ceremonies raising money to recognize Black Millennial Leaders improving communities across the country. Our partners contribute more than money. Their ideas and support are helping us empower the next generation. Johnny Bailey sits down with Cornell Jones, host and producer of SportsCenter's OffSCenter and voice of College Basketball on ESPN, to discuss the importance of preparation in seizing opportunities. Jones also touches on the power of mentorship and leaning back on history to better understand our future. Without access to role models and professional development, the youth in our community risk not going to college, remaining underemployed, and being unaware of empowering entrepreneurial opportunities. 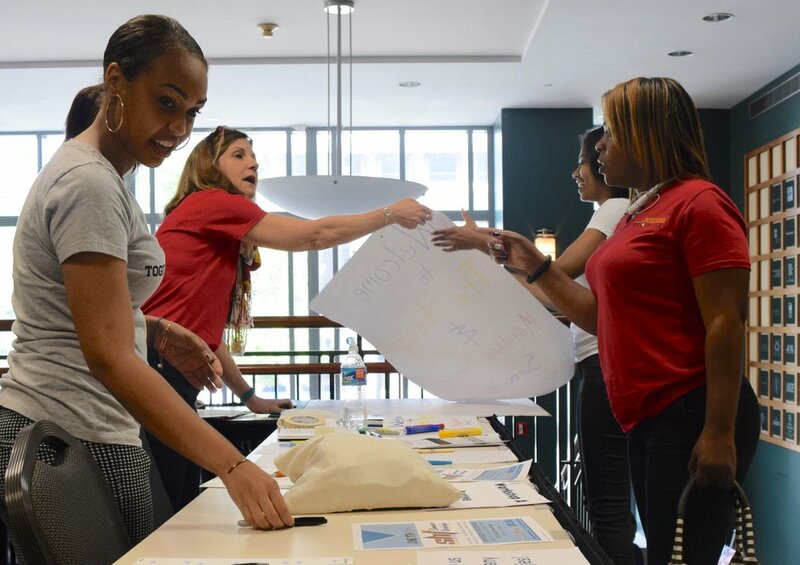 Our programs provide a platform for today's leaders to educate and inspire the next generation of innovators and entrepreneurs in Washington D.C. and beyond. Learn how to make money and acquire resources. Grow your business and your social network. Cultivate an inspiring personal brand. Sign up for The ShineHard Daily, and you’ll receive a daily message Monday through Friday with thought provoking quotes by our Founder and Executive Director, Johnny Bailey. These special 140 characters are sure to inspire you to take action, elevate your perspective and help you start your morning off right! NEW BOOK COMING SOON! The #ShineHard Daily. 365 of The Greatest Quotes from The Daily Message. Pre-Order Now for Signed Copy. When you purchase a ShineHard cap, you are supporting our latest initiative — The Campus Ambassador Program (CAP). 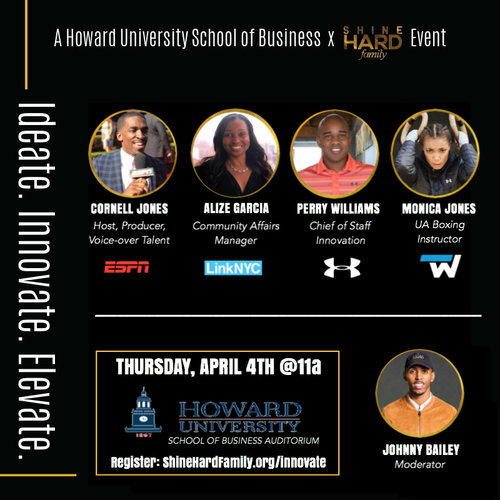 In efforts to bridge the gap between busy millennial leaders and the next generation of student leaders, we enlist ambitious campus ambassadors to organize empowering ShineHard events and galvanize classmates. Get the motivation, tools and insight you need to start maximizing your greatness!